Believe it or not, pet health insurance has been around since 1890, when the first policy was sold to a Swedish farmer insuring a beloved horse. In Sweden, pets and livestock have been commonly insured since the 1920s and in Britain, policies gained popularity in the 1940s. In the U.S., the first pet policy covered Lassie, the TV dog, in 1982. Since then pet health insurance has steadily gained popularity. Families who treasure their pets buy insurance as a way of blunting the impact of veterinary costs. Still, many people have questions about pet health insurance. They wonder what vets think of it, and whether it’s a good investment. Let’s look at the facts. Having a pet is a big responsibility, and 41% of pet owners are worried that they wouldn’t be able to afford a major injury or surgery. Costs sometimes add up to more than expected, for example from a secondary infection or repeat injury. Treating cancer in a pet, for example, can cost about $5,000. A dog’s torn ACL can cost $3,300 to fix, according to research by Consumer Reports. An investigation by NBC News followed a dog that got a bacterial infection that led to eye surgery. All told, that pup’s bill came to $5,000. Looking at these costs, many people start to wonder about pet health insurance. A basic accident and illness policy costs on average about $473 per year for dogs and $285 for cats, or less if you get an accident-only policy. That’s far lower than the full cost of a surgery or persistent health issue. A pet’s lifetime vet bills can be just a couple hundred dollars, or upwards of $10,000, depending on a wide range of health issues they could encounter. Of course, not all potential health issues are covered by pet insurance. Every company has its own exclusions. Breed-specific hereditary problems, for example, are a common exclusion included in the fine print of these policies. Every vet has their own opinion about pet health insurance, but many see it as an overall positive thing for pet health. It gives pet owners an option when something catastrophic happens. It also encourages them to pursue consistent preventive health care for their pets. Some vets suggest a dual approach: having both a pet savings account and pet health insurance. This allows owners to have a pool of money on hand to address small issues and deal with insurance deductibles. Then if something big happens, the insurance can kick in to help with major costs. Like all insurance, pet health insurance is a roll of the dice. Its purpose is to give you financial and emotional relief during a difficult time - and to support your pet no matter what happens with their health. 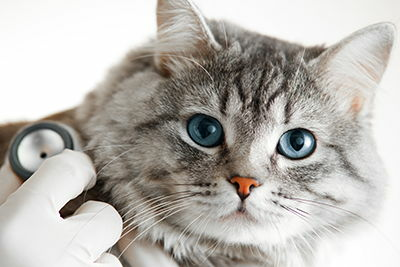 If you need more advice about pet health care, connect with the experts at Academy Animal Hospital. We’re always available to help you make the best decisions about your pet’s wellness.